William's mom, Krystal June Preston, posted the story on her Facebook page, obviously beaming with pride in her son's willingness to step up and help her during a tough time. Apparently, he had already been coming to the rescue for the family by becoming a “lawn mowing, yard cleaning, money-making machine” but he was keeping his biggest contribution a secret. 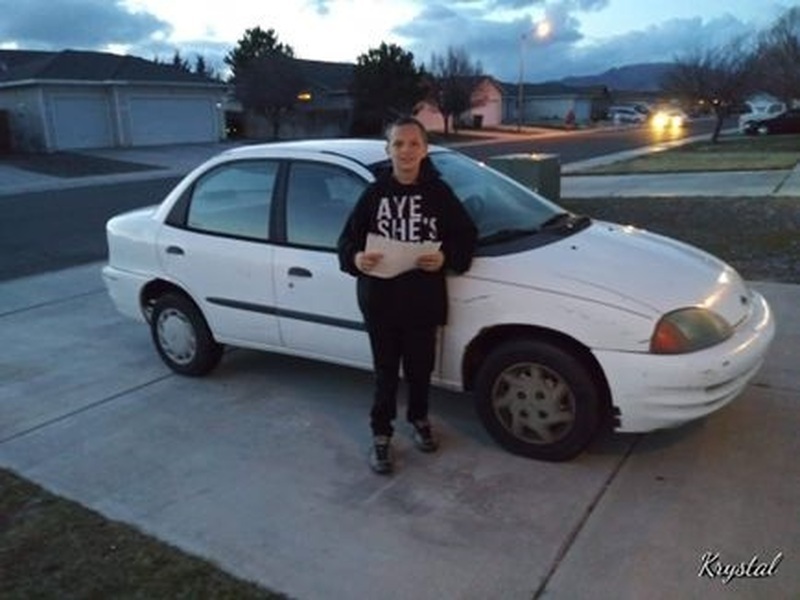 Having noticed a 1999 Chevrolet Metro for sale posted on Facebook, William decided its price tag was low enough that he could do some work and trade in his Xbox in exchange for the vehicle. While we don't know exactly what the seller had requested for the Chevy, KBB.com lists comparable Chevrolet Metro sedans between $700 and $3,000. That's a lot of money for a little kid. William asked the Chevy's seller if he could do some work around her house and trade his gaming system for the vehicle. His offer was initially denied, but the seller eventually had a change of heart and agreed. Without telling his mom about his master plan, William would disappear to go do yard work and other odd jobs around the house for the seller and eventually earned enough to take the Chevy Metro home for his mom. When he told Preston he bought her a car and the seller was outside, she was in shock, thinking it was a joke. "William came home and said, "Mom I bought you a car". I, of course, laughed and told him, 'Ya right!'" When they stepped outside, Preston was stunned to find William wasn't joking. The seller was waiting for them, ready to give a ride over to her house to pick up the Chevy Metro and complete the paperwork. "I am so proud of my son. He is such a good kid. He may have his days but OMG what 13-year-old kid do you know that buys his mom a car... William, I love you son and thank you. You have such a big heart and I love you ..."
Not only did William buy his mom the best possible gift (in our opinion) but he also showed incredible selflessness and work ethic that is rarely seen even in adults. Our faith in the next generation has been restored. Someone buy this kid a new Xbox!